The gospel of Jesus Christ offers us the consummate gifts of peace, happiness, and joy. But to many, these eternal promises seem elusive, even unattainable. In his familiar, warm style, Elder Richard G. Scott of the Quorum of the Twelve Apostles shares truths we need to understand and embrace to truly have a life of peace, happiness, and joy. Filled with insightful stories and examples to illustrate doctrine and principles, the book encourages the reader while at the same time sharing profound apostolic counsel that will help us find true peace, achieve enduring happiness, and experience periods of immense joy. Elder Richard G. Scott, was called as a member of the Quorum of the Twelve Apostles of The Church of Jesus Christ of Latter-day Saints in October 1988. He had served in the First Quorum of the Seventy since 1977 and was a member of the presidency of that quorum for five years. He holds a B.S. degree in mechanical engineering and completed post-graduate work in nuclear engineering. Prior to his call as a General Authority, he worked on the staff of Admiral Hyman Rickover developing military and private nuclear power reactors. Elder Scott and his wife, Jeanene Watkins Scott (deceased), are the parents of seven children. I'm so thankful for this book! For me, this book truly made me reflect upon my life and habits I could change to bring the Spirit into my life. I can't rate it highly enough just for that. I recommend this book because of the sincerity of Elder Scott and his sweet message for anyone and everyone going through struggles and hardships. I truly believe there is something for everyone in this book! I came upon this book when I was going through a wrenching time a few years ago. The gentle, kind voice of a loving Heavenly Father, speaking through Elder Scott, settled upon my soul each day and brought comfort, guidance and peace over many long months. How very thankful I am that he wrote this book and shared it with us. It literally carried me through the most difficult time of my life. I have given it as a gift to others and it remains on my nightstand beside my scriptures, like a constant friend ever ready to offer loving advice and encouragement. 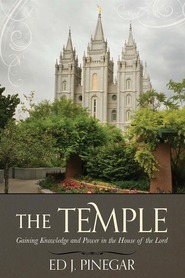 It is the voice of this book that is so compelling, and at the same time soothing, as Elder Scott shares his insights on eternal truths and lessons learned. It truly is like a private conversation - two way - as you find yourself responding to his questions and comments. This book is a treasure. 1. How personal the message is. 2. The book is written with love, love for the Lord, love for us and love for his Wife. 3. Almost every paragraph has a reference to a scripture or to the words of leaving prophets. 5. He makes doctrine be the water for a thirsty soul. An amazing book that talks exactly about what the cover says. Elder Richard G. Scott’s Finding Peace, Happiness, and Joy is an amazing book that talks exactly about what the cover says. Elder Scott has written this book, as he does with all of his conference talks, with an immense amount of love, a voice of kindness and concern, and with personal stories which we can all relate to. The book is written to people in all different stages of life, he is a man that has been incredibly faithful his entire life and he describes what he has done to be a great son, father, and spouse. He uses many stories from his life in which we are able to understand others points of view and how we can better ourselves. This book is applicable to all, he relates the problems that we all have in life and different suggestion in overcoming these difficulties. It offers hope to all those that read it that are struggling with life, which is all of us. 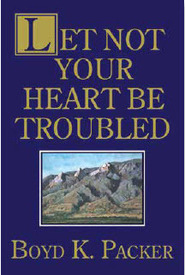 Elder Scott talks from his heart in this book and it is notable throughout the book the encouragement that he is offering the reader. There are a few issues that I found with the book. Some latter-day saint members might feel that they have heard the stories before. He does repeat some stories that have been told before in conference, and this might bother some readers. I would highly recommend this book to anyone that is struggling with life or that just needs that spiritual boost. It is like reading the scriptures for me. I have been able to mark this book up with underlining and highlighting. I have been able to look up the Scriptures that are referenced which is done notability well. I have been able to read this book and enjoy every page, you can tell of the love that he has thus far had for life. I plan on giving this book away as gifts to many of my friends because it is written for all in different stages of life looking for peace, happiness, and joy. I have been waiting so long to have Elder Scott's words put together. He really does speak "one-to-one". Thank you. So much to learn about recognizing the Savior in our day to day lives. As always... encouraging, encouraging and mostly encouraging. Easy to read without words that you are not quite sure what they mean; Common communication from the heart; I love it! I have sticky notes sticking out all over this book as I've tried to mark the places relevant to me. I agree with another reviewer that I could almost hear his voice as I read the words. For years I've held close to my heart, in reference to trials only being a small part of our life and to enjoy it more fully. I felt the Savior's love for me in a very tender and personal way as I read this book. He does want me to feel His love and have joy and peace. I can't wait to get this book as a gift for others who might enjoy and benefit from the sweet words of this book. Bought for a gift, couldn't give it away! I loved this book! I bought it as a gift for my Father-in-Law and ended up keeping it for myself instead! I mailed him a gift card for deseret book, and he got the same book and loved it too. When Richard G. Scott came to our stake to reorganize it, I felt like I already knew him. I have read this book twice already! I battle depression and reading this book every day is a great source of help. As I read it, it is as if I can hear Elder Scott's kind loving voice. It seems as if he really cares and really wants to share what he has learned about living so as to have peace, happiness and joy! I recommend this wonderful book to everyone! Elder Richard Scott's first book was well worth the wait. The love he has for members of the Church and the desire to see all come unto Christ shows in this wonderful work. I highly recommend Elder Scott's inspired counsel and encourage you to partake of the powerful messages contained in this book. Absolutely wonderful book that offers hope to everyone...from to those who have been victims of abuse to those who are frustrated that they can't seem to reach perfection. Lots of practical applications. One test I use to buy a book is not its cover or the marketing but what happens if I just let a page fall open -- and read where the eyes land. If one finds that the words -- even if discovered out of the context of the chapter -- enter into the heart then this must be a true book. It then is like unto scripture. It then can become a candle of comfort, a source of study, and soon, an old friend. 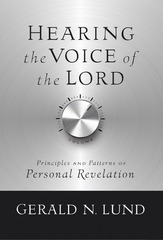 If for nothing else then what Elder Scott has taught from the pulpit and includes on page 86 pick up this book during your bookstore browsing. But there is more. It has been in my hands less than a day. Yet that process that begins with a soft lead pencil and then a firm yellow highlighter has now settled in. In the days and years to come it will teach me again and again. Not Elder Scott's stories but his gift of guiding us to the meaning of our own experiences is just one of the first lessons this book teaches me. Thus in a marvelous way-just like the scriptures- the reader and the writer connect in a deeply spiritual conversation. Amazing! One of the best! This book is one of the best. I was particularly touched by his thoughts on trials and their purpose. I have shared Elder Scott's thoughts and his book with several of my friends, both member and non-member who are going through trials of their own. It has become one of their favorites too. This book is a treasure. For me, it was like I could hear the voice of Elder Scott, personally talking to and mentoring me. The principles Elder Scott teaches have had and will continue to have a significant impact on my life.